Finally managed to get back into it for a few hours earlier this week, and went in search of that most elusive of prey – The Sub-Urban Wild Brown Trout. Myself, and the living legend that is Jeremiah Quinn, have long been promising to go fishing together and finally, after many false starts, this was the week that was! I fish in the salt, either in the Thames estuary or down on the south coast with Jonah. We use a mix of tactics; Ledgering Rag and Lug worms, Spinning hard baits and Freelining slithers of Mackerel in our quest to catch that ‘double figures’ Sea Bass. Jeremiah fishes almost exclusively for wild trout and always on-the-fly. Our shared interest is in a kind of low-cost travel-by-public-transport kind of Trout hunting with the holy grail being a Brown Trout taken within the confines of London’s orbital ring road, the M25. A truly wild fish; taken on the fly, and without payment to landowner or fishing club. Regular readers will know of Jeremiah’s recent west London successs in Admiral Lord Nelson’s river Wandle so we headed east to a Kentish chalk stream fished by Charles Dickens, the Darent (River Darenth). The best thing about meeting up with other bloggers is that having sat in front of your computer bashing away for all those nights, writing your blog, there in front of you is a real live human being who has not only read what you wrote, but cares enough to ask questions about what is for the most part a personal obsession. We spent a happy hour on the train to Kent chatting about each others adventures and the blog posts that describe them. I on the other hand looked like a complete numpty with my oversized fleece and screaming YELLOW wellie boots. As we reached Farningham we stopped for a small libation at the hostelry by the bridge and snacked on samosas before heading further east to the more easily accessible parts of the river. The path down the river has recently benefited from some drastic pruning, the last time I walked that way there were trees over hanging the river from either side, and now only the most established specimens remain. The chalk streams of southern England have changed dramatically in the last hundred years. Where they used to be a lot deeper they were also a lot narrower giving far more cover to the fish and allowing larger blooms of vegetation for the nymphs and larvae to live in. Letting trees grow out of the banks has weakened them, and with the banks undermined they have slumped and now most of the stream is ten feet wide but only six inches deep. The local dog walkers told us that there was a release of grayling last year and they’ve all seen good fish from the bank. One dog walker pointed us to a deep hole which was holding two Pike; while upstream I tried to master the dry fly with his 4#, Jeremiah made them an offering on the 7# which was instantly accepted, with the Pikes razor sharp mandibles severing the leader quicker than those nifty little cutters they sell in the fishing shops. At the end of our tromp we fished the pool under the flyover, managing to spook the trout who live there all year round unspooked, by the overhead roar of the M25, that separates our ever growing metropolis from the manicured fields of England’s garden. In short: excellent company, short train ride, a not too taxing walk, in a managed version of the country, where real life thrives between the abandoned car number plates, all set against the reassuring whoosh of traffic. Just how we like it! PS if you’re planning a visit to the chalk streams of Kent, or to fish anywhere else that gets graffiti get in touch, let me know how you get on. PPS the real life ‘don’ of Urban Fly Fishing lives north of the border. His blog. And his site. Since I put up that post about suburban homesteading it seems that; either the great and the good of English journalism are reading my witterings or (more likely) I had my finger on the pulse of the weeks Zeitgeist. 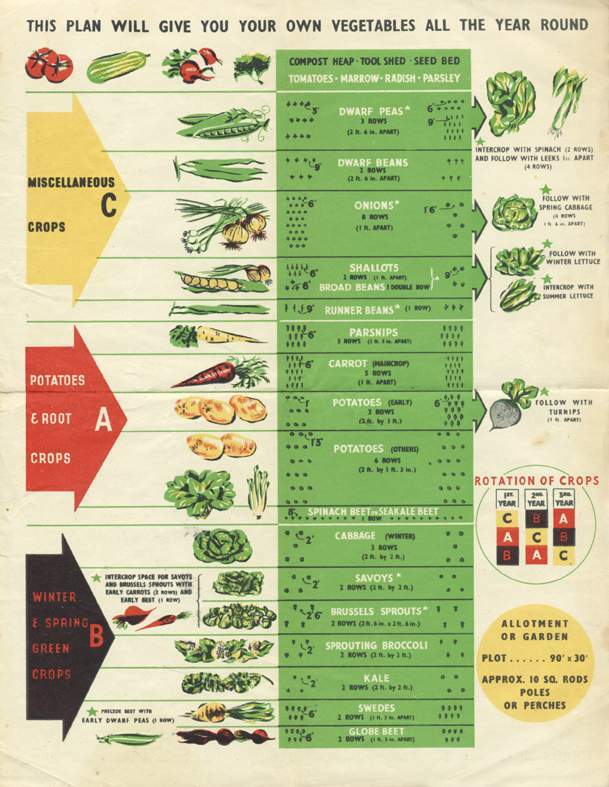 According to this weeks papers there are now as many people growing their own foodstuff as did during WW2! If like me you've been thinking about getting started here's some food for thought. If we were all to follow the advice of eating five portions of fruit and veg a day, we would probably spend at least £1 every day, or around £400 a year, at supermarket prices. But seeds for vegetables to keep a family going for a year usually cost less than you would pay for one kilo of the same product in a shop. You can pay £1.29 for two beef tomatoes in Sainsbury's [This should be a joke surely - I checked it's true! ]while a packet of 30 seeds from costs £1.25. A Sainsbury's shopper buying a kilo each of courgettes (AKA Zucchini), beetroot and radish this autumn would have paid around £8 while packets of each of these seeds from costs a total of £3.75. And if you have neighbours with vegetable patches, you can always swap packets, as they always contain more seeds than you need. Young apple, cherry and other fruit trees or berry plants can be bought for under £20 each, while organic raspberries, for example, cost more than £23 a kilo in Sainsbury's this year. Richard Murphy has been growing vegetables for 18 years. This year, he has included pumpkin, salad crops, beetroot and carrots in his vegetable patch. Yes i know its been a while since I added to the chronicle of my journey but life, as they say, keeps getting in the way. First i crashed my scooter (painful but no lasting damage), then came the stag do (joint second in the clay pigeon shooting - 14 pairs and 4 singles smashed after a two year hiatus - yeah yeah, kids stuff, you can do better, write yer own blog) the wedding itself (THE social event of the year - congratulations to Sir Hiss and the newly crowned Mrs Sir Hiss) and then a family holiday to the coast (an evil conspiracy of childcare time and tide banjaxed any fishing, there was a little bit of gathering but no hunting). Now that i can get back into it I'm very happy to tell you that I'm due to take my first fly fishing lesson early next week.In class bound Blighty 'on-the-fly' is still seen as the way toffs fish, this is mainly due to the massive cost of fishing on the classic 'beats'. North of the boarder, where our Caledonian cousins have perfected the art of marketing their waterways and fieldsports heritage, there is one Scottish fly fishing blogger, Alistair, who is starting to redress the balance with his tales of low-cost fly fishing on the Kelvin just outside Glasgow. Through reading his blog I found out that down south a blogger called Jeremiah Quinn has taken on the mantle and is chronicling his exploration of England's (mainly urban) low-cost Trout waters. Not for him the stocked lakes around London where bloated rainbows rise, secure in the knowledge that if they have bitten a man made fly they'll soon be back home in the water.He turns the traditionally costly country pursuit of fly fishing in to a low cost urban adventure. "...of the blue dun, there is a succession of different tints, or species, or varieties, which appear in the middle of the day all the summer and autumn long. These are the principal flies on the Wandle - the best and clearest stream near London. In early spring these flies have dark olive bodies; in the end of April and the beginning of May they are found yellow; and in the summer they become cinnamon coloured; and again, as winter approaches, gain a darker hue. I do not, however, mean to say that they are the same flies, but more probably successive generations of Ephemerae of the same species." For navel and fly fishing history buffs it's also worth noting that Admiral Lord Nelson liked the Wandle so much he commissioned a house there, and with the cunning that made him such a great leader - he wisely told Lady Hamilton it was a present for her! Those halcyon days were followed by 200 years of using the river as a convenient way to dump rubbish, but thanks to the efforts made the river is now one of the cleanest in europe, and as Jeremiah's picture testifies fish are thriving.